The OneOak Project was a three year collaboration with the Sylva Foundation, a visionary charity founded by Sir Martin Wood and Dr Gabriel Hemery. 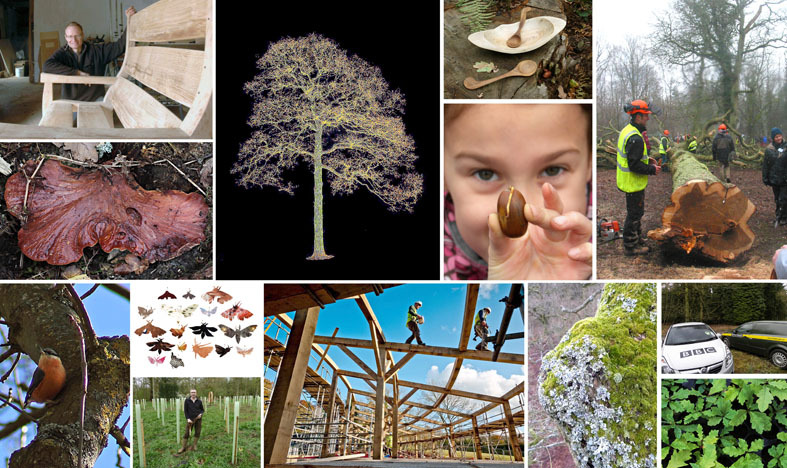 Sylva’s mission is to promote the benefits of growing trees and sustainably managing woodland for humans and ecosystems and ultimately to revive a wood culture in Britain to contribute to a more sustainable economy. Jane King curated and designed the OneOak multi-media installations, bringing together the work of hundreds of contributors: artists, designers, makers, musicians, builders, wood workers, scientists, school children, students and teachers. She also contributed graphic artwork, prints and photographs.